On January 10th, renowned cancer scientist Martin Gore died unexpectedly. Gore, 67, suffered total organ failure shortly following a routine inoculation for yellow fever. A professor of cancer medicine at the Institute of Cancer Research and a consultant at the Royal Marsden National Health Service foundation trust, Gore was awarded The Royal Marsden’s Lifetime Achievement Award in 2015. And although the yellow fever vaccine has been considered one of the safest, the increasing evidence of its lethality in recent years has called that claim into question. Yellow fever is a serious, life-threatening disease with high mortality rates. Spread by mosquitoes, the yellow fever virus can cause fever, chills, nausea, headaches, muscle pain, and severe damage to the liver and kidneys. Liver failure can lead to jaundice, which causes the skin and eyes to turn yellow, hence the virus’ name. Found primarily in tropical regions like South America and Africa, the disease is fatal in about 5% of cases. In patients who experience jaundice, the death rate increases to as much as 50%. Yellow fever kills 1,000 times more people than ebola. 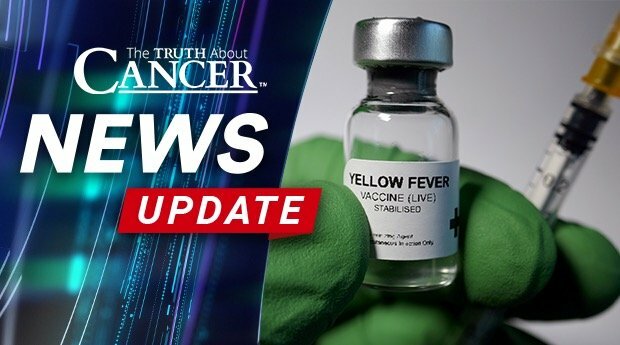 The yellow fever vaccine has been around since the 1920s, though today’s strain was discovered in 1937 by a scientist working at the Rockefeller Foundation. For decades, the vaccine has been labeled as safe and administered to anyone living in areas where they may be exposed, as well as to anyone traveling to subtropic destinations. Two of the leading manufacturers of the vaccine are the Wuhan Institute (involved in the Chinese vaccine scandal) and Sanofi Pasteur (co-creator of the new 6-in-1 combo vaccine Vaxelis). In April last year, just a few months before Professor Gore’s untimely death, the World Health Organization (WHO) announced that nearly 1 billion Africans would receive the vaccine by 2026, thanks to efforts by UNICEF and Sanofi. It is already part of the infant immunization program in 35 countries with a high risk for yellow fever. And while yellow fever is a terrible and deadly disease, the vaccine may also put patients at great risk. Martin Gore is not the first to die after receiving the vaccine. In fact, several people have died as a result of receiving this vaccine over the past few years. Vaccine manufacturers warn that those over 60 or with existing immunodeficiency are at higher risk for adverse effects. A report in the Journal of Travel Medicine found that between 2007 and 2013, there were just under four cases of serious adverse effects from the vaccine per 100,000 doses. This increased to 6.5 per 100,000 for those aged between 60 and 69, and 10.3 per 100,000 for those aged 70 and above. But the truth is even more alarming. 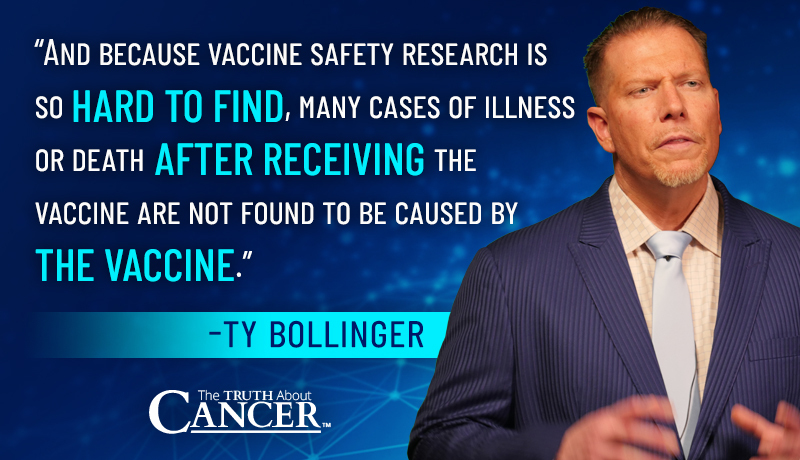 And because vaccine safety research is so hard to find, many cases of illness or death after receiving the vaccine are not found to be caused by the vaccine. If there isn’t enough research to show causation, the manufacturers are off the hook. And because the majority of these vaccines are administered in poverty-stricken, undeveloped countries, it’s likely that a large portion of adverse events go completely unreported. Malcolm Brabant is a veteran BBC foreign correspondent, PBS NewsHour special correspondent, and winner of the prestigious Peabody Award for his reporting on the European migration crisis. In 2011, he received a routine vaccination for yellow fever. Within hours, he began to experience severe fever, aches, and delusions. He spent the next 15 months in and out of psychiatric hospitals in two countries. With no history of mental illness, Brabant believed he was the messiah, then the devil, and even heard voices urging him to kill. The suffering of Malcolm and his family was substantial during this time. Now fully recovered, he has full belief that he lost his sanity because of the vaccine – manufactured by pharma giant Sanofi Pasteur. He and his wife filmed much of the ordeal and released it as a documentary titled “Malcolm is a Little Unwell”. Martin Gore is simply another casualty in the battle for transparency and accountability from the pharmaceutical industry. There’s no doubt that the yellow fever vaccine has saved lives, but at what cost? Both Brabant and Gore, like millions before them, received the vaccine believing that it was totally safe and that the worst side effect would be a mild fever. Instead, the vaccine ruined or ended their lives. These are respected, noteworthy men. An award-winning journalist and a decorated cancer researcher were not immune to the dangers of vaccines. How much more vulnerable are everyday people like you and me? What about severely impoverished communities in Africa and South America? According to The Times, “His death highlights the increased risks associated with the vaccine for the growing number of older travelers visiting exotic destinations,” and while the increased risk for older recipients is well-documented, the risks for all of us are greater than they appear. Still, massive companies like Sanofi Pasteur have no interest in or intention of conducting more thorough research, or in attempting to find a safer way to protect people from yellow fever. Because there’s not enough profit. Because the majority of these vaccinations go to underprivileged nations who can’t afford to pay inflated prices. Because we have been quiet and complacent, taking whatever pills, shots, or other drugs the doctor prescribes without question. We deserve better than companies like Sanofi. Our children deserve better. We couldn’t agree more. Vote for officials who will stand up to big pharma and special interest groups instead of lining their pockets with dirty money. Vote with your dollars by refusing to support companies who don’t hold their products to a high enough standard. Stay informed and keep asking questions about your medicine and your food. The truth is often inconvenient for these mega-corporations, but the light will always outshine the darkness. Keep the conversation going with friends, family, and neighbors. We’ll continue to bring you all the latest information that companies like Sanofi Pasteur don’t want you to hear. PLEASE LOOK UP OR FOR HOMEOPATHIC PHARMACIES THAT MAKE COMPATIBLE ORAL REMEDIES FOR BOOSTING THE IMMUNE SYSTEM AGAINST SPECIFIC DISEASES. I ONCE FOUND A COMPANY OUT OF CANADA THAT SUPPLIED SOME REMEDIES FOR A FAMILY MEMBER TRAVELING TO HAITI ABOUT 10 YEARS AGO. I bring Colloidal Silver (ionic silver) when traveling. It is proven to kill all bacteria and virus, fungus and mold it comes in contact with. I rather take my chances getting wild yellow fever(and treat it) than take the shot. That’s 100% sure there is a problem. You can use an herb called Wormwood or Artemisia. There’s also a malaria product called MMS Miracle Mineral Solution, Jim Humble inventor. I would also employ Kyolic garlic, grapefruit seed extract (place in veggie caps) to ingest its very bitter. Activated charcoal, along with Liposomal Vitamin C high doses can be taken without gastrointestinal upset. Use an herbal mosquito extract to spray on yourself. Externally sleep under mosquito netting. Don’t be out after sunset. Bring a water purification straw. Don’t bath in hot water. Last but not least PRAY! A friend traveled to Africa employed these steps and came home fine. I read your article about the yellow fever vaccine with great interest. Since I lived and grew up in a country (Venezuela) where yellow fever was not unusual, I was given the vaccine twice: once in the late fifties and another shot in the late seventies. I never had any side-effects or illnesses from either shot. Any explination? It’s only a fuzzy, half-baked guess, but I think the advent of the spreadsheet in the mid-1980’s showed a lot of bean-counters where they could shave nickels and dimes off of production in all kinds of manufacturing, vaccines included. Quality control suffered as a result. And new lessons in media and mass marketing enabled companies to better divert attention away from all the skeletons in the closets. You cross your fingers and try to forget about the poor decision to not get vaccinated! It’s a “poor decision” to make an informed choice instead of drinking the BigPharma Kool-aid? I am happy that Mr. Bollinger feels that way l do believe in natural medicine and can only hope people more and more go for that. My son has received all his recommended vaccines but we never get the flu vaccine or any extra vaccines and I almost would prefer not to get any considering some of the recent evidence that has been coming out on many dangerous side effects, but schools have a mandatory vaccination policy for kids attending their schools. It’s hard to know what is best. I think vaccines for certain life-threatening diseases are necessary, but some vaccines aren’t as necessary. D J , I feel the same way about the flu shot.For some reason I have never wanted to get it. I am a grandmother now, so I don’t have any say so @ the children , but I do have some concerns about this new 6 in 1 vaccine.What do you think? Why are school/school boards ALLOWED to PRACTICE MEDICINE without a LICENSE?!?! That IS what they are doing when they REQUIRE a medical procedure be done on someone who is not THEIR child!! I”M sure somebody tried that argument against ObamaCare. Didn’t work. Unfortunately, making rules isn’t “practicing medicine.” That’s the problem with the world: the administrators who make the rules aren’t required to know anything about what their rules are governing. What state do you live in? Most states have vaccine exemptions. Search vaccine exemptions in _________(the state you live) and you can opt out for your child. I agree! I haven’t taken the Flu shot in 5-6 yrs & wish I would’ve known about it years before that… My dr.’s don’t like me because I won’t take the flu shot. I saw how quickly they changed their attitude when I said I don’t take the shot. I have had every immunization you can imagine from Peace Corps, airline employment as a stewardess, and living in South America and Europe. Gamma Goblin was the most frequent in South America. Now, I will get no more because I try to live naturally with no drugs or injections. I even refuse x-rays for dental work. My water is the ECHO hydrogen water and I grow most of my own food and cannabis. I have had diabetes for over 25 years and I am trying whatever I can to deal with that. Lynda, read “The Diabesity Code” by Dr. Jason Fung. A friend of mine has had diabetes with insulin shots for 10 years. After following the guidelines in the book fall of 2018 and using a Keto diet, her blood sugar is normal (in 6 weeks), her cholesterol is like it was in high school (we are 67) and she’s losing weight. You can do it. Another great book to read is “Why We Get Fat” by Gary Taubes. 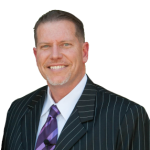 You may want to read up on Dr. Robert Young’s solution on his website: phmiracleliving.com. He has a great book about overcoming even Type II diabetes. Lynda Kamrath: Your Diabetes was probably also caused by the vaccinations . My Husband became a diabetic after receiviing 7 vaccinations in one day– he was going to work in Africa… A very strict diet of no carbs no sugar and no dairy .keeps his sugar totally under control .. Thank you for publishing this information! You are so welcome Dawn! Are there any known effects of the typhoid vaccine given in the US in the last 1980’s? It was a two-part vaccine and recommended for travel in some countries. I took part one but not two, and had fever, aches and pains, for a day or so. How does anyone know that Yellow Fever isn’t completely spread through the vaccine strain? Vaccinations are very bad medicine. What science states that without the vaccine, or any vaccine, the patient would ever contract Yellow Fever? Or any other medical issue? Over 30,000 people die per year from the flu shot, but very few ever die from just the flu. Science? Dr. Young’s articles are very revealing on vaccines. Search his articles on vaccines. Thank you for all of the info you put out. I think I may have had the vaccine for YF when I was in nurse’s training, but that was many years ago (50+). The drug industry has become way too vaccine crazy lately. It seems like they lie awake trying to think of what else they can invent a vaccine for to make them more money. On January 10th, renowned cancer scientist Martin Gore died unexpectedly. Gore, 67, suffered total organ failure shortly following a routine inoculation for yellow fever. My apologies for my gray moment above. A sexually transmitted disease called human papillomavirus (HPV) is the only form of cancer known to be contagious, but what the medical community won’t tell parents of teenagers and preteens is that HPV is easily defeated by a normal functioning immune system. HPV is not a cancer – it is a wart virus. “Apparently” it can be a pre-cursor to Cervical cancer but as you state your immune system can get rid of the virus. The advertising by health/big pharma is purposely misleading that Gardisal is a cancer vaccine. Look into urine therapy it cures this and many many more dis-ease symptoms. Yellow fever vaccine is mandatory to visit many African countries. How do you avoid that? Look forward to authentic advice for that. Thanks. You might not want to avoid YF Immunsiation, unless you take the risk to get vaccinated upon your entry in Africa with a vaccine you probably don’t know how old it is and most probably it hasn’t been kept at the right temperature. F.E. in Uganda, they control your certificate upon entry. I couldn’t avoid the vaccination and choose to take 1000 mg of Vitamin C (Ester-C, or Liposomal) two weeks before getting the shot and for 2 weeks after or even longer. The french scientist Dr. Crussol found, that the moment you vaccinate, your Vitamin C levels drops to zero. And it makes sense to avoid that, in order to keep the immunsystem functioning and help the body with the detocification process. He recommends Vit. C infusions. i suggest you take the vaccine if you must but take charcoal immediately afterwards. Charcoal is known to absorb poisons and I think it will absorb the toxins and you will be safe from that poison. this is my view. You can get a Dr. written exemption. Look into it. You present it upon entry into Uganda. In the early ’90’s, as a nurse working in a public hospital, we were required to get the Hepatitis B vaccine which was a series of 3 shots over 6 weeks. After each shot, I felt like I had the flu for 3 days afterwards. A couple of years later, I was diagnosed with Fibromyalgia, which they now know is an autoimmune disease. As for school vaccinations, my girls didn’t want them (and I didn’t want to have them get them) when they got to be older, so I used the religious exemption. I’m still glad I did. gee I got the same symptoms from synthroid. it is not natural. nor FDAapproved in 47 years of use. and made me sick kidney failure and couldn’t hear, and consent ringng in my ears thy don’t care as long as money is being made. Question though, if you travel to a country that has yellow fever (Peru, Ecuador, etc.,) and don’t receive the vaccine, can’t they prevent you from entering the country?